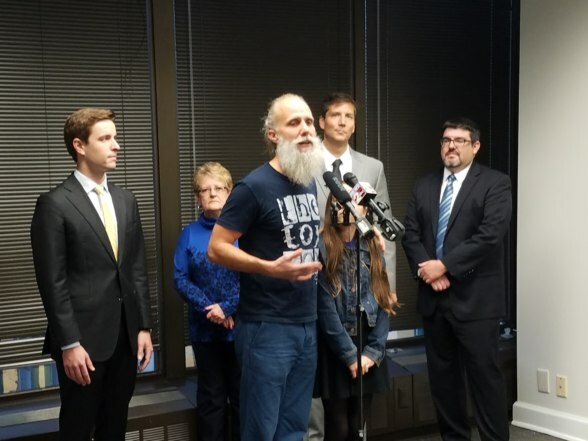 Today, the Beacon Center teamed up with the Institute for Justice to file a lawsuit on behalf of Nashville residents Lij Shaw and Pat Raynor against the Metro Council’s ban on business owners receiving clients in their homes. A 1998 ordinance prohibits any so-called “home occupations” from serving clients on their property. The law, which the Nashville Metro Council passed without public debate or any record of why it exists, imposes steep fines and potential imprisonment on local musicians, hairstylists, interior designers and other aspiring entrepreneurs if any customers physically come to their homes to do business. Lij, a single father, invested thousands of dollars to convert his detached garage into a professional recording studio. Lij, who has lived in East Nashville for 17 years, has recorded nationally renowned, Grammy Award-winning performers such as John Oates, Tori Amos, Wilco and the Zac Brown Band. Pat Raynor, a semi-retired widow, undertook an expensive renovation to her garage to open up a one-chair hair salon with a valid Tennessee cosmetology license. Unfortunately, the Nashville codes department moved to shut them both down. Lij’s recording studio has lost significant revenue since a city officer ordered him to stop publishing his address in advertisements. Meanwhile, Pat has been forced to rent a costly and inconvenient commercial studio just to keep her hairstyling practice in business and support herself. The Institute for Justice analyzed Nashville’s business records and found at least 1,600 home-based businesses operating within the limits of Nashville’s consolidated city-county jurisdiction. Unfortunately, many of them are illegal, and the ban can be as disastrous as a lightning strike for the unlucky few who get caught. Nashville’s own planning commissioners have said this law is against the American way, and the top councilwoman for zoning has called it “dishonest.” Even the law’s defenders, like former Councilman Carter Todd, have boasted that Nashville’s thriving illicit home business scene doesn’t “bother anybody” while ironically working to keep it illegal. To read the full case page, click here.